Item # 302632 Stash Points: 4,999 (?) This is the number of points you get in The Zumiez Stash for purchasing this item. Stash points are redeemable for exclusive rewards only available to Zumiez Stash members. To redeem your points check out the rewards catalog on thestash.zumiez.com. Contemporary and minimalist in design, adidas extends their line of premium footwear to include the all new 3MC Shoes. 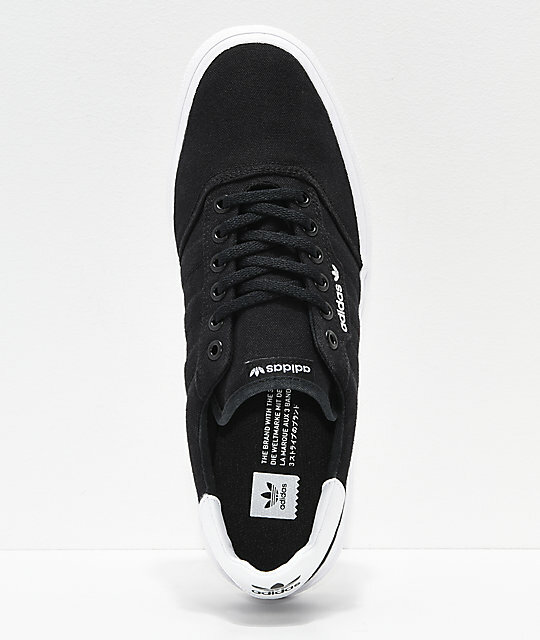 Featured with a streamlined low-profile silhouette that mimics retro-authentic adidas heritage displaying the brand's signature 3-stripe logo upon the sidewalls. 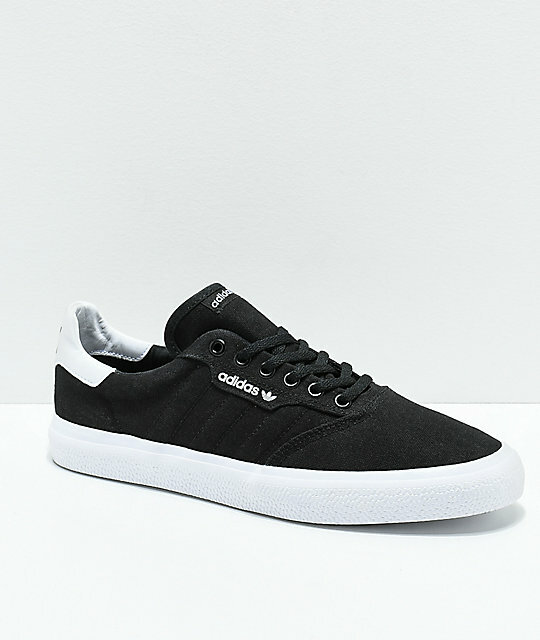 The 3MC exudes a court-sneaker personality that comes skate-ready with a vulcanized construction for wonderful board feel. 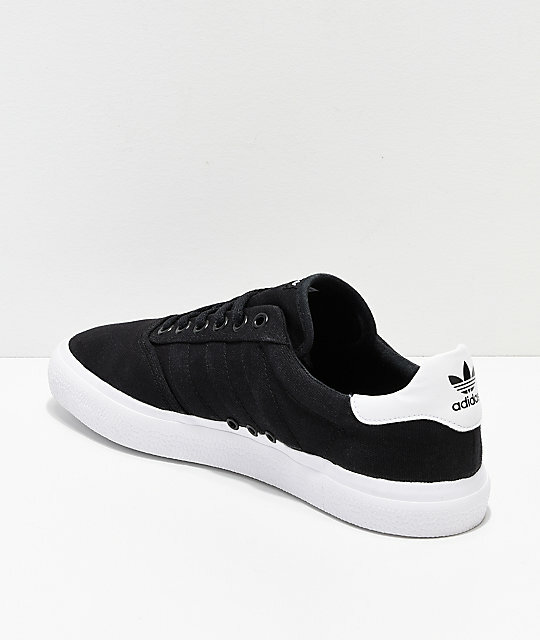 3MC Black and White Shoes from adidas. 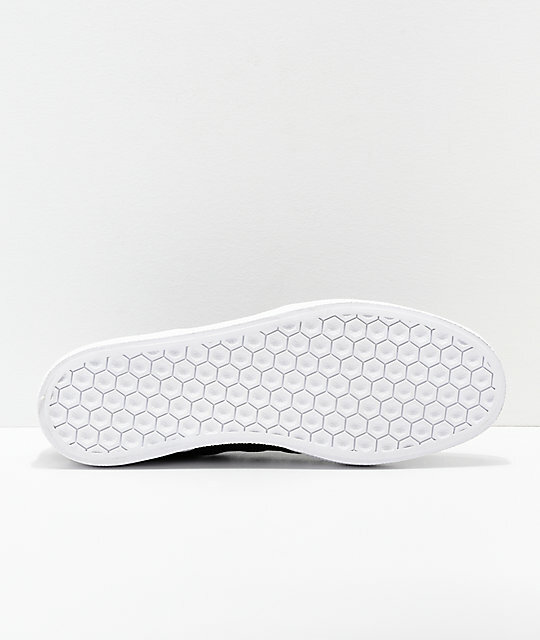 Canvas upper with leather trim on back of heel.